A little pair of sand-shoes awaiting its owner that’s playing on the beach. One often sees this - and wonder if he or she remembers where they left them! I hope they don't forget to collect them. 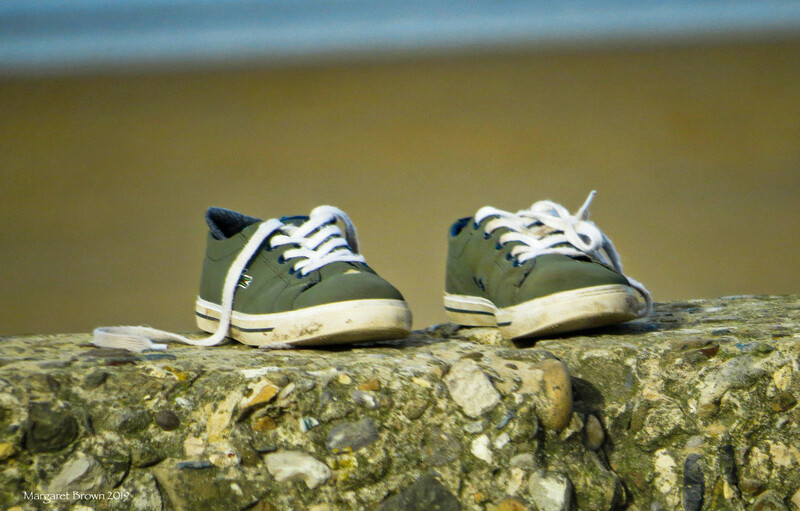 We find lots of abandoned shoes on our beach. Great capture. Love the composition. Cute find! I like their colour. Made me smile! Good eye!